The salmon and potato recipe is also free from any artificial colorings or flavorings and preserved naturally with a combination of natural tocopherols. Rich in salmon as natural source of Omega 3 fatty acids. Enriched with copper to stimulate enzymes which maintain color of the coat. Enriched with vitamin D for optimal absorption of phosphorous. 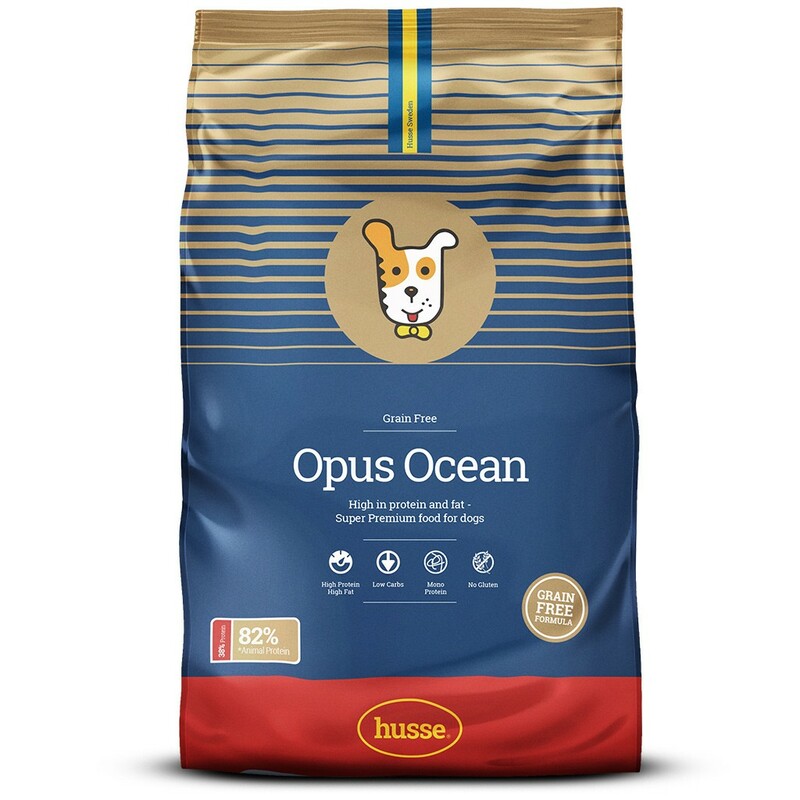 Salmon, potato, peas, potato protein, animal fat, linseed, vegetable fibers, yeast, hydrolyzed animal protein, minerals, salmon oil, fructo-oligosaccharides (0.3%), sea algae, lecithin, Tagetes. Protein 38%, fat content 18.0%, crude ash 8.5%, crude fibre 4.0%, calcium 1.5%, phosphorus 1.0%, omega-3 fatty acids 2.0%, omega-6 fatty acids 1.3%.